The Piggery at Hunting Hall is a lovely light spacious hall with exposed beams, a log burning stove and views across a story book farmyard. This versatile venue, available for hire, is the perfect setting for courses, small events or celebrations. 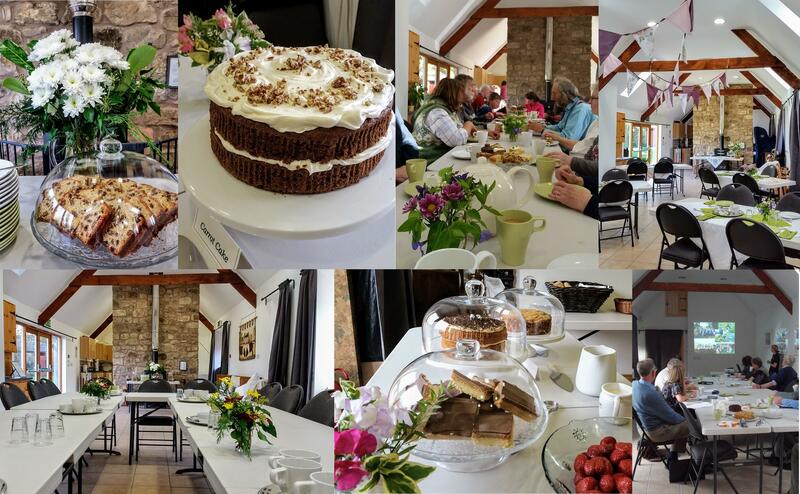 Visiting groups can enjoy a pot of afternoon tea or ground coffee with delicious cakes and tray bakes made in the Piggery’s large well-equipped kitchen, or a tasty lunch of homemade and local produce. This traditional 18th century farm building has been carefully converted, creating a long room of 13 metres by 4.5 metres which can sit up to 40 people at tables. French doors lead to an enclosed lawn making it a lovely setting for small performances or social gatherings. Care has been taken to ensure that people with limited mobility will be able to participate in all activities in The Piggery. There are disabled access toilet facilities and in the cooking area we have installed a low kitchen sink and side opening oven. The Piggery provides a lovely countryside classroom for people of all ages. There are good toilet and hand washing facilities and the large cooking area is perfect to help children explore baking with farm produce. This eco-friendly building has a rain water harvesting system, an energy efficient air source heat pump, a bat loft, and is painted in environmentally-friendly, recycled paints. It is a wonderful space in which to promote and discuss sustainable lifestyles. Please contact us for further details about hiring the Piggery for your event or booking a farm education visit.